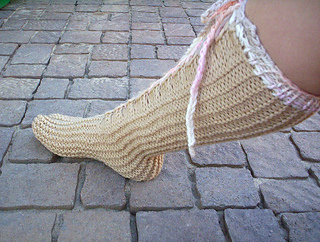 Wonderfully warm slipper socks for children and adults! 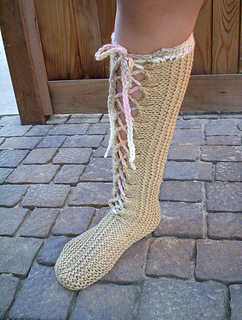 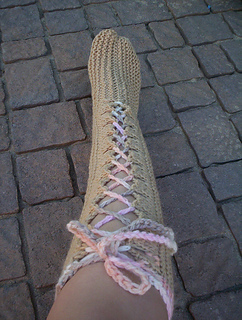 These slipper socks are knit to form a tube and lace up, so that they can fit a wide range of sizes. 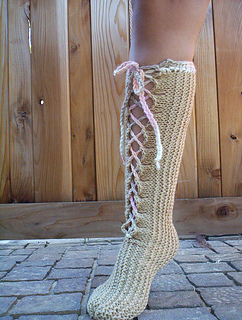 Very easy with minimal seaming.